You probably send out press releases when you have to, “checking the box” for corporate disclosure or crisis management. But there are lots of reasons your company wants to get its story out. 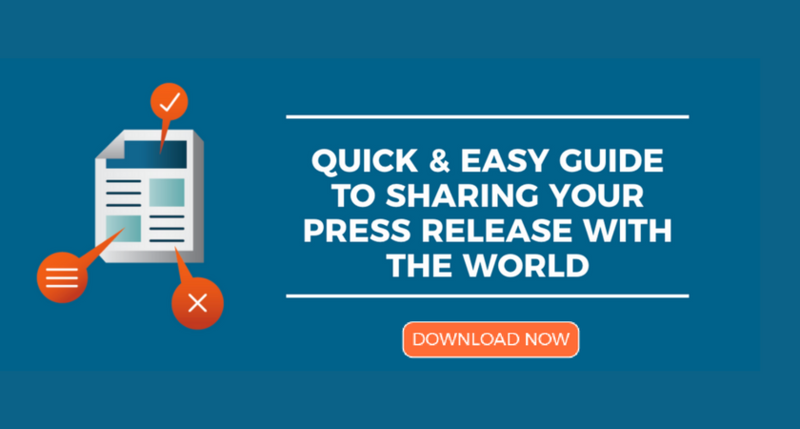 A well-crafted press release can do just that: increasing consumer awareness, connecting you with influencers and helping to generate new business. However, figuring out exactly how to do that can be a challenge. Your company is excited about its new product, research paper, promotion, etc., so how do you get your audience charged up about it, too? The next time you’re looking to tell your company’s unique story, but have press release writers’ block, take some inspiration from the following examples of amazing press releases. The first-ever press release, from the Pennsylvania Railroad Company in 1906, was 300 words of plain text and it was published verbatim by The New York Times. A century later, companies have to do a lot more to get the attention of not only newspapers, but also a newly expanded audience of blogs, influencers and consumers. The easiest way to do that is by including multimedia elements, whether photos, infographics, videos or audio clips. Most companies have websites full of engaging images and video to appeal to online audiences. So why not apply the same rules to your press releases, to get more attention? SC Johnson’s dramatic wildlife imagery is so stunning these videos could be narrated by David Attenborough. 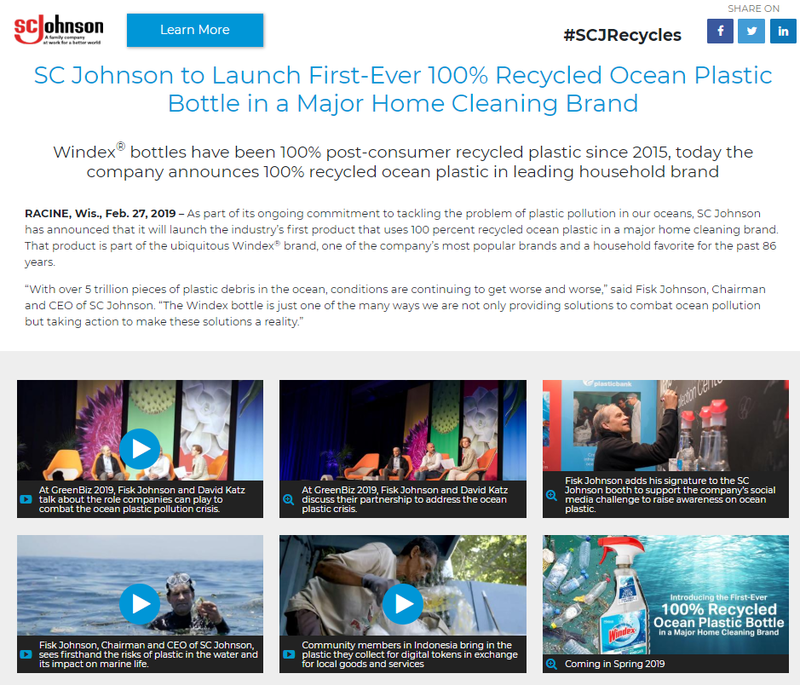 The quality of the multimedia included in this one multichannel news release– 6 videos and 6 product photos– demonstrates to readers how committed the company is to this endeavor. It shows they care about more than just promoting their brand, and that gives their message greater credibility. Plus, including a variety of types of multimedia lets readers decide how they want to digest this story— whether they’d rather just read, watch a video, browse images, or engage directly with the news via embedded social sharing buttons and “Learn More” links. Like the oceans they’re advocating for, this is a living, breathing piece of content. The value of content marketing has been proven time and time again. To set themselves apart, companies act as publishers, providing unique and interesting content to their consumers. That’s why most companies have their own blog, where their loyal customers can follow along for news and information. But how about gaining new followers? Syndicating your content to a wider audience- with a clear call-to-action back to your blog- can do just that. This release is practically a case study on how to reel in readers; it’s got a headline that “teases” the main takeaway, sub-headlines that provide more snippets that appeal to their audience, and an infographic that increases this release’s online discoverability. 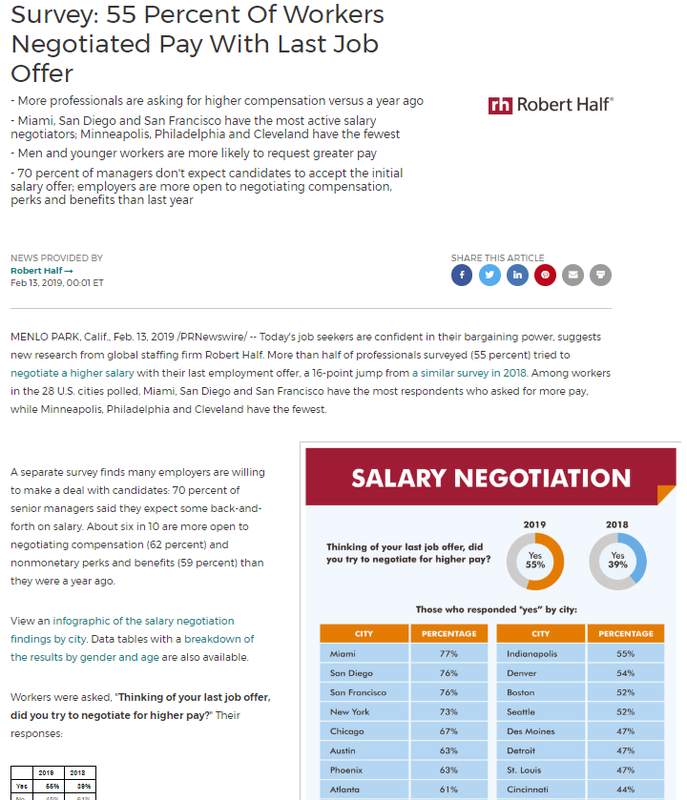 The larger purpose of the content is to promote Robert Half’s blog, where they post survey findings and helpful job-seeking best practices, while promoting their brand of expertise. And this information would’ve been stuck on that company blog, appealing to only its current followers, if they hadn’t decided to also distribute it to a wider audience of new readers as a press release. In short, Robert Half has found a way to incorporate press release distribution into their larger content marketing strategy, finding themselves potential new brand loyalists in the process. 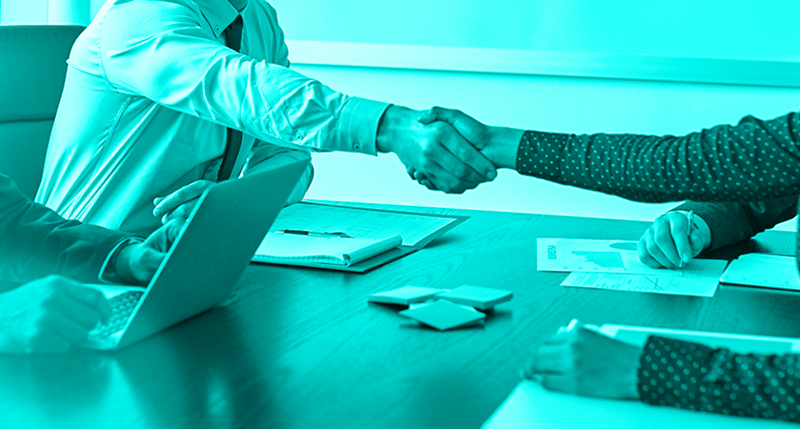 Even without a traditional blog, most companies want to be widely seen as a reliable source of expertise and information for consumers, whether through how-tos, market research, or making experts in the organization available for media interviews. So make sure you’re broadcasting that expertise, in order to make your organization searchable online and discoverable as a reliable outlet for consumers. Concerns about tariffs and a possible downturn in the economy are prevalent in the news today. 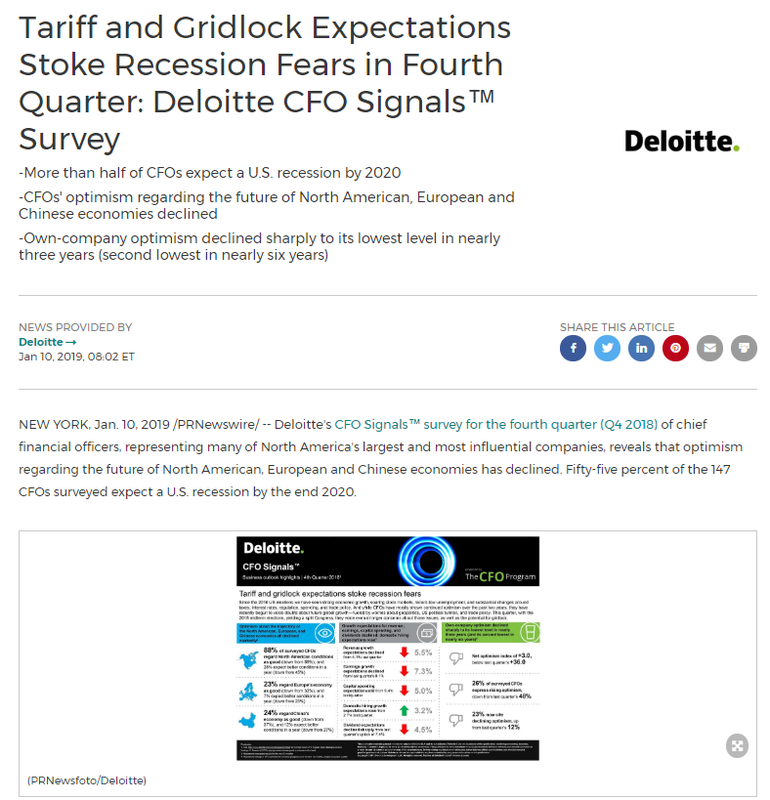 Deloitte’s content analyzes those trends and distills their findings into a press release that will be easily searchable for readers Googling those popular keywords. And for those of us who may not be experts in macroeconomics, the “CFO Signals” infographic illustrates these findings in an easy way that anyone can understand. Plus, the most surprising and relevant information appears high in the release, with additional context further down. That means this release can appeal to both casual readers and industry experts. And all audiences will see Deloitte as a trusted expert in this space. Your product isn’t the only thing your consumers are buying into— your brand is an identity, so give it some personality to set it apart from competitors. One way to share that personality is an engaging, conversational news release that showcases your company’s unique values and perspective. 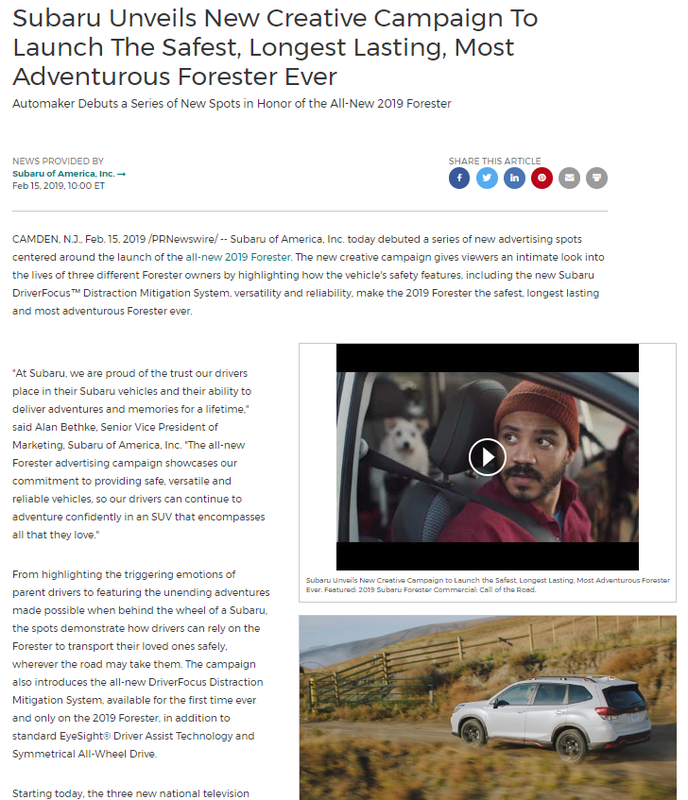 Subaru knows its target audience; it’s evident in their advertising and content marketing approach across all platforms, including this press release. Subaru customers are adventurous, but also family-oriented and concerned with safety. And generally, dog-lovers. So this release, about a campaign promoting their new Forester, appeals to exactly that target demographic. Subaru focuses their appeal with a variety of multimedia elements, including their logo, a short video and an engaging product shot. And in that imagery, the subset of readers most likely to buy a Forester can see a version of themselves. That personal appeal makes it more likely that a viewer will turn into a customer. In addition to wanting to feel a personal connection with their chosen brands, many consumers also want to feel good about the products they use. They want to know the company’s values align with their own. Make sure consumers know your company is environmentally and socially responsible by bringing those stories to light. See what they did there? This release had me at “moooooving away!” It’s part of Ben & Jerry’s brand identity that they don’t take themselves too seriously, but they do take sustainability seriously. 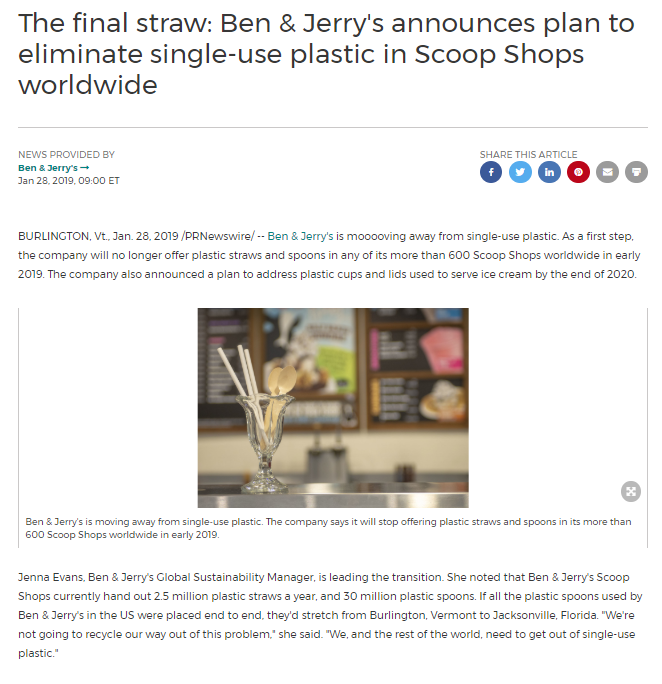 Ben & Jerry’s was quick to see the tide turn against single-use plastic and to make a commitment to taking action on it. And because they know their target consumers care about this too, they were sure to broadcast this news to a wide audience via a wire distribution. Then, to ensure their content doesn’t get lost in the daily deluge of news, Ben & Jerry’s does a few things to make their release unique: interesting visuals, playful wording that appeals to their audience, as well as eye-catching bullet points that outline their next steps to accomplish this goal. This news from Ben & Jerry’s is sure to stand out in a crowded field. No matter your story, employing new press release techniques like videos and infographics, CTAs, playful headlines, and searchable keywords, can help you find new audiences and in turn, new customers. Jennifer Tolhurst is a manager of Customer Content Services at PR Newswire, where she leads a team of editors to prepare clients’ news for distribution to optimal audiences. She regularly advises organizations on how best to craft their content for SEO, earned media pick-up, and investor consumption. Follow her at @prnearnings for financial news and industry trends.